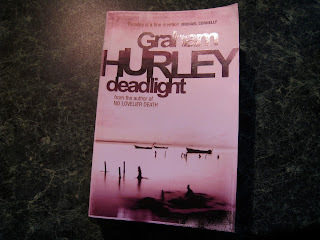 The Little House of Concrete Bookshelves: Graham Hurley "Deadlight"
Graham Hurley's Deadlight fits just before the point where I came in on this particular series after one of the occasional I've run out of interesting reading, any suggestions? threads on the Elvis Costello and Richard Thompson email lists. 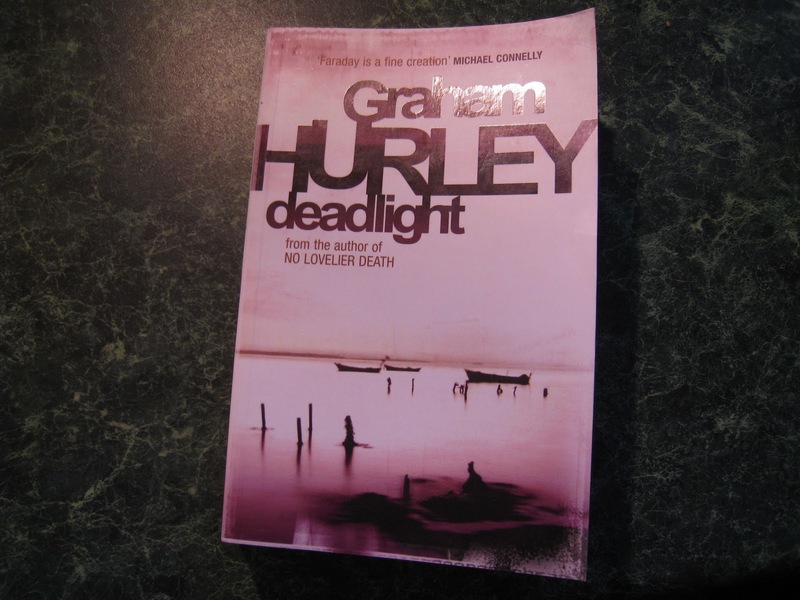 EC and RT fans tend, in my experience, to have reasonable taste when it comes to fiction in general and crime fiction in particular and I added Hurley to an extensive list that includes the likes of Andrea Camilleri, Colin Cotterill, Donna Leon and Peter Robinson. The standard modus operandi under these circumstances is to keep an eye on the el cheapo bins in the book stores and newsagencies while checking the text file of what I've already bought or read, so you're not necessarily going to run across titles in the appropriate sequential order. My initial encounter with Hurley's bird-watching detective Joe Faraday had disgraced DC Paul Winter doing a bit of work for Portsmouth crime boss Bazza McKenzie while Faraday investigates around the edges of the operation, and one of the subplots here has Winter involved in the dangerous driving incident that provided the excuse for the Hampshire Constabulary to cut him loose. As usual there's more than one plot line here, but the main issue at hand is the investigation into the murder of prison officer Paul Coughlin. From the start you know there's something else going on since the first chapter deals with the sinking of HMS Accolade during the Falklands War, but it takes time for the exact connection between Accolade and Coughlin's murder to clarify themselves. The initial investigation, predictably, centres around Coughlin's time working in HM Prisons rather than the Royal Navy, with an obvious suspect in the form of a recently released prisoner who'd spent his time inside strenuously maintaining his innocence while Warder Coughlin went out of his way to make his time inside a living hell. Ainsley Davidson's not, predictably, distraught to hear of his tormentor's demise, and has a comfortable alibi though he's firmly in the frame as far as ex-Met detective Andy Corbett is concerned. Corbett provides another of the subplots here, along with Winter's ongoing pursuit of a gang of teenage hooligans and an apparent stalker pursuing female officer Dawn Ellis. Given Portsmouth's status as a naval base there are also issues with ex-service personnel, which is where the investigation ends up heading. Coughlin, as it turns out, was a particularly nasty piece of work as a warder, so it comes as no surprise to learn that he exhibited the same character traits during his stint as a petty officer in the Navy. As a setting for the series soccer-mad Portsmouth provides plenty of possibilities when it comes to crime, and the World Cup finals provide another thread winding through the narrative as does Faraday's interaction with his signing son J.J. and Australian film maker Eadie Sykes. This latest encounter with another series that's well worth investigating had me turning pages at a significant rate and I'll be keeping my eyes skinned for further instalments. At some point, of course, we'll be talking a start from the beginning sequential read, but in the meantime we'll just have to take things as they come. Magdalen Nabb "The Marshal Makes His Report"
Fred Vargas "Seelking Whom He May Devour"